For two decades, Corporate Culture Pros have partnered with companies such as GE, Merck, Boeing, Schering Plough, Xerox, Avaya and dozens of entrepreneurs and non-profits seeking to define their company culture, lead organizational culture change, support business transformation amidst the increasing volatility of change, and develop competitive advantage through a strong, agile, and adaptive corporate culture. Our approach is focused on cultivating specific business management practices that research shows are key to driving high performance in people and teams. We view company culture as the collective behaviors and habits leaders develop to drive high performance, profitable growth and adaptability to change. During a merger, major growth cycle, or leadership change, Corporate Culture Pros works with Presidents, CEO’s and their partners to define and measure a leadership and cultural road map to support business change, execution of new strategies, and high performance cross-functionally – all keys to speed and relevance in today’s hyper-speed markets. Major change – merger, growth strategy – is not being adopted quickly or broadly enough. Internal misalignment is de-railing execution of your strategy, retention of top talent, or a key merger. 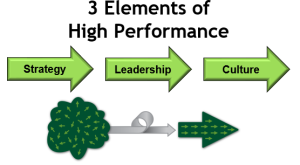 Top leadership or the Board is concerned about lackluster growth or performance. A new President or CEO is concerned the culture is not capable of executing his or her vision and strategy. Essential innovation and growth goals are not being met by key divisions or departments. Corporate culture is not aligned with your business change environment. This 4-stage-proven process is outlined in our Culture Builder Toolkit. Assessing your company culture to pinpoint what’s helping and hindering your strategy and business goals. Aligning and coaching your senior leadership team to model a clear definition of vision, culture, strategic priorities, and leadership values, as well as to implement modern workplace habits that support greater ambiguity, speed, and worker values. Defining a clear road map for embedding new cultural habits, including timelines, clear milestones, and measurable deliverables. Training culture or change champions on how to lead ongoing cultural change. Alignment. We view culture change less as changing the fundamental DNA of your company, and more a process of aligning people at all levels and across multiple sites, to clear definitions of winning and performance. Culture vs. Strategy. A great corporate culture delivers high performance on its strategy consistently. Too often, change addresses strategy and structure, but not culture. We help you build a road map to align the culture to the desired vision and strategy. Feeling Good = Better Results. A great organizational culture creates an environment where employees can do their best work, be creative, and be happy. Happy employees are more productive. If you need proof of that you’re probably on the wrong website. No Fluff. Culture is a measurable, replicable business process. We teach you a 4-stage process proven to shift any culture, no matter how entrenched. Turnkey. Culture change can be the most rewarding change your organization can make but is also often the toughest. We’ve honed our process over 12 years so we help you focus only on what works. It’s About You. If you want to change corporate culture, it will require changes in your leadership. Most executives do not have the proper training to understand how to lead a wayward corporate culture back on track, and how to visibly demonstrate the key behaviors. We make this straightforward and simple. You Own It. CCP is not your typical consultant, looking for more billable time – our mantra is “simply do for the client what they cannot do for themselves.” We leave behind the tools so you own your culture change. We have a proven process for changing organizational culture, but it’s not a cookie cutter process. It’s a partnership. Unlike many consulting firms who say they work with culture change, we have been honing and developing this special expertise for over 15 years. Listen deeply and respond to what you need and want. Design a culture change process based on your ideas and wisdom. Seek to help every leader become a hero in leading culture change. Blend expertise and best practices from the best of nimble entrepreneurial company cultures with the disciplines and resources of the mature corporate organization. Our consulting approaches are practical, measurable, and sustainable. We balance structured planning and “working in the moment” with what is necessary to get your culture aligned with your strategy.